Create collection of Eudora mails and migrate to Outlook. Locate Eudora mails stored on the hard drive automatically. Email preview available in more than 9 email view modes. Recursive listing of mails enable viewing internal emails. Effective search filters with more than 10 parameters. I have been using the Eudora email client from last 4-5 years. I do not have any problems with until its support was provided by the company. But from last few weeks I am unable to send & receive email using the public networks.Therefore I want to migrate to another email client with all of my data. I do not have any technical background, therefore, I need the tool which performs the work itself for me. Can I migrate bulk Eudora Emails to Outlook 2013? Does software provide the option to delete duplicate emails? Can I migrate my attachments as well using this software? What is the estimated time for migration of 10GB Data? Is there any prerequisite to use the software? Migration from one email client to other email client is not the easy task, users have many issues like security, data leakage, and data confidentiality. The situation can become more worst when using vulnerable tool to perform the task. To overcome these type of circumstances , One can use professionally built tool to migrate Eudora to outlook 2016 with ease. The Eudora to Outlook Migration tool have various outstanding features which effortlessly export Eudora to outlook with attachments. 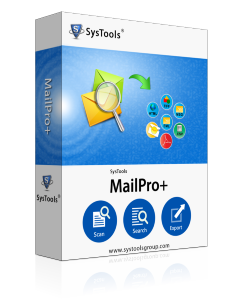 It provides features to remove duplicate emails and powerful advance search facility to search & analyze Eudora emails. How Eudora Mailbox to Outlook Migration Tool Works? Will the software convert even corrupted Eudora mails? Yes, the software will migrate the corrupted Eudora mails to Outlook and will save them in a healthy form. Does the software require installation Of Eudora in order to import eudora files into outlook 2010? No, Software is client free application and does not require the installation of Eudora for performing the conversion. What is the File size of Eudora mailboxes that I can export to Outlook? There is no file size limitation with Eudora Mailbox to Outlook migrator so you can export Eudora mailbox of any size to Outlook. Yes, import eudora mailboxes into outlook Tool is compatible with Windows 10 and all below versions of Windows OS. "If asked to describe Eudora Mail to Outlook Migrator in a single word, I would call it exemplary tool.The vast number of features in the tool enables import eudora mailboxes into outlook in the most efficacious and time efficient manner. Why Need of Eudora to MS Outlook Tool? Eudora is venerable email program and preferred by most of the user because of its high quality features efficiency but in spite of this, it has major issues while sending or receiving emails, SSL certificate problems while on the hand MS Outlook is most favorable email client for Organization as well for small users. To switch from Eudora to Outlook with attachments, there is need of Eudora to MS Outlook Migration tool.